I don’t know about you but after a long day at work, or a busy day out and about, the last thing I want is dinner that takes any kind of effort to prepare. This is about as easy as they come. 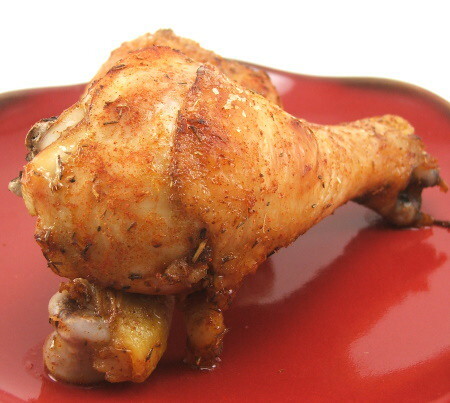 That is why I love, and adore, chicken legs! They make dinner so easy. They require little attention, cook within 45 minutes, and they are admired and loved by young and old alike. I also love that you can eat them with your hands! Of course, this recipe is also good for whole chickens and turkeys. 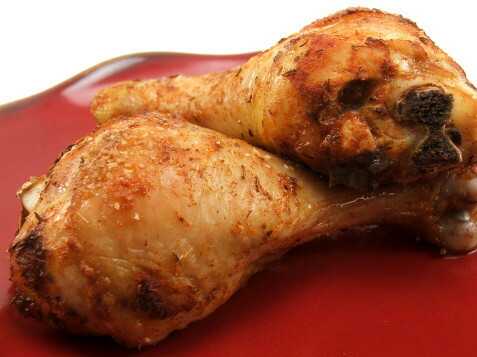 I would recommend doubling the marinade for a whole chicken, and for a turkey make four times the recipe. Also, for whole birds just make sure to get some of this marinade under the skin and inside the cavity. Also, if you stuff the cavity with fresh thyme and lemon husks it perfumes the meat and adds another layer to the flavor. 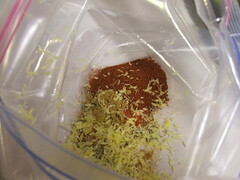 In a zip-top bag mix the thyme, paprika, cumin, cinnamon, salt, pepper, maple syrup, lemon juice, and lemon zest. Add the chicken and massage to coat evenly. 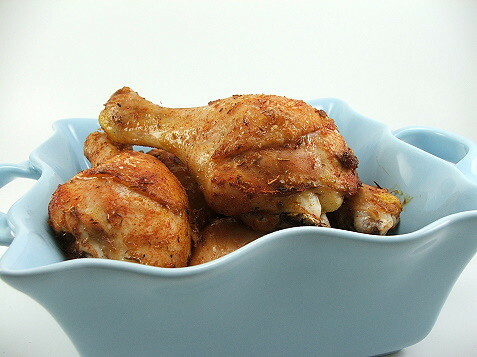 Let the chicken sit on the counter for thirty minutes, or you can refrigerate overnight. Heat the oven to 400 F and cover a baking sheet with foil then spray with non stick spray. 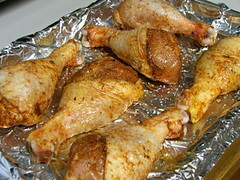 Place the chicken on the sheet, making sure there is plenty of room around the chicken legs. 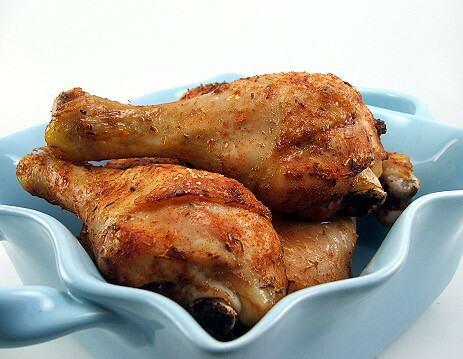 Cook for 40 to 45 minutes, or until the skin is brown and the meat reaches 160 F. Let the chicken rest ten minutes before serving.